Self-employment Myths and Reality. It’s OK To Be Wobbly. Neither is grounded in reality. There’s such an odd mythology around self-employment, perhaps because people don’t talk about what goes on behind closed doors. Here’s what I think is true about self-employment, in a nutshell. Click for movie info and to watch online. 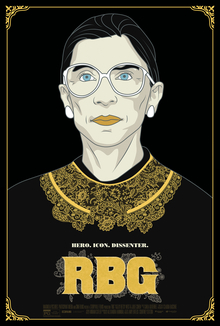 I just saw the movie, RBG. It’s a must-see! You’ll get to see an example of a powerful, confident, and courageous introverted woman, Supreme Court Justice Ruth Bader Ginsburg. I’m so inspired! It helped to restore my hope. I need that during these times. Don’t you? RBG, as she is affectionately called by her many fans, is a good example of someone living true to herself and her values, and willing to face the heat of those who don’t want to listen to her opinions. We need this kind of role model!! Have you said anything like that to yourself? I’m an introvert too and I know I’ve said those things. Luckily, I have learned through experience that phrases like “I’m too introverted for that” or “I won’t be able to handle it” are false. Not just for me, but false for all of us. I’m not saying you need to become someone other than yourself either. In fact, don’t do that! It won’t help or feel good. I’ll explain. The truth is that you don’t have to get overwhelmed or drained when you go for something you want. No matter if you’re introverted, extroverted, or in between. Really. 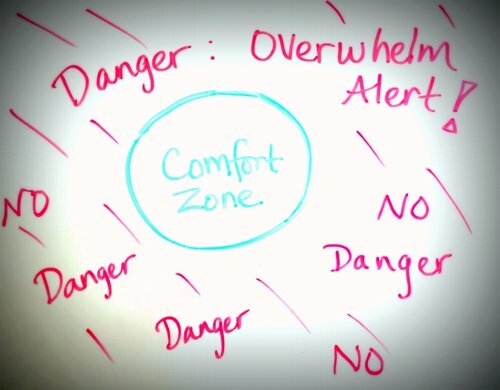 Our human brains play a trick on us, trying to keep us safe, by telling us that if we leave the comfort zone of the known, we’ll freak out or get overwhelmed, like in the image below. So we feel stuck and we stop moving forward. It’s very common to get stuck right there. Can You Name Your Focus in One Word? How is that new year’s energy working for you? Revved up about some big ideas to pursue? Being hard on yourself about moving “too slowly” on those ideas? Relaxing into the downstream flow of life? A messy mix of it all? I’ve got a mix, and luckily, it’s mostly the downstream flow because I’ve made that a conscious decision to look for downstream. Because that’s the life I really want. I choose that focus. 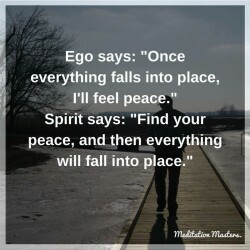 What perspective does your true self want for the new year? You can choose your perspective and let that lead the way. I am dedicating this song, “May I Suggest,” to you. I hope you enjoy listening to it in this video. I think you’ll find it inspiring whether you are in the midst of new hope or the grips of fear. The message points you to the treasure that is already waiting for you. Get Val's updates, with booster shots of belonging and inspiration for quiet-loving women. "You've unleashed what's inside me." "More than paid for itself." "I found the courage and clarity I needed." "Val helped me go from whim to reality!" "You helped me find my voice!"